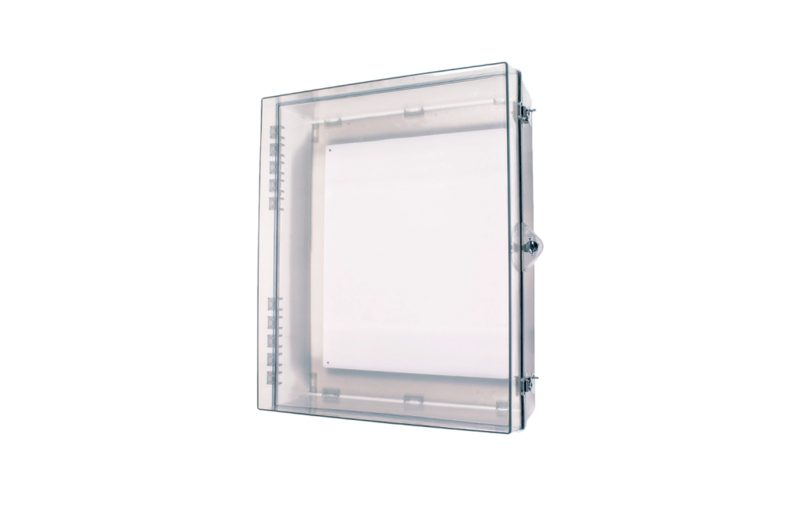 Multipurpose lockable cabinets for remote annunciators, fire alarm control panels or other electronic products which require physical or environmental protection. Helps guard against vandalism, as well as dirt, dust and grime (models without alarm). Covers mount on the wall enabling the unit to be stored in a central location. The cabinets are available with a key or thumb lock. Design allows visibility at any angle (excludes -OW models). Steel internal mounting plate provided. Additional eyelet can be used for secondary padlock or safety seal.